Today is a total treat!! Why? 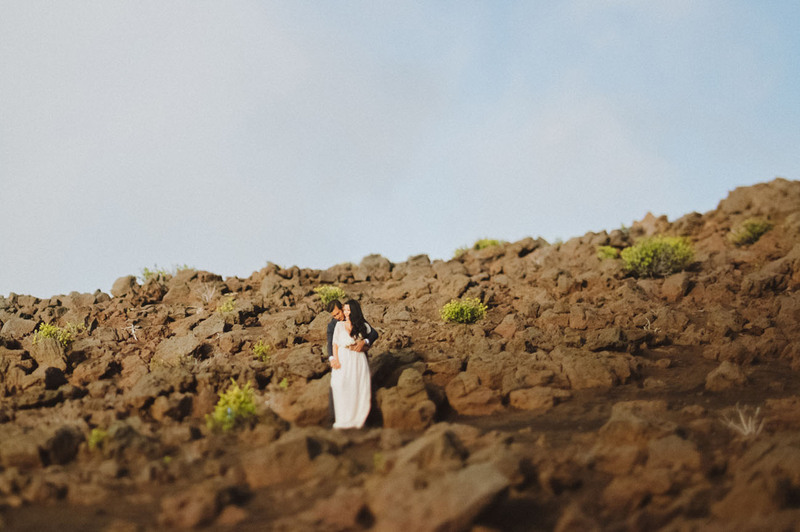 Well for one, we’re featuring an insanely gorgeous elopement. 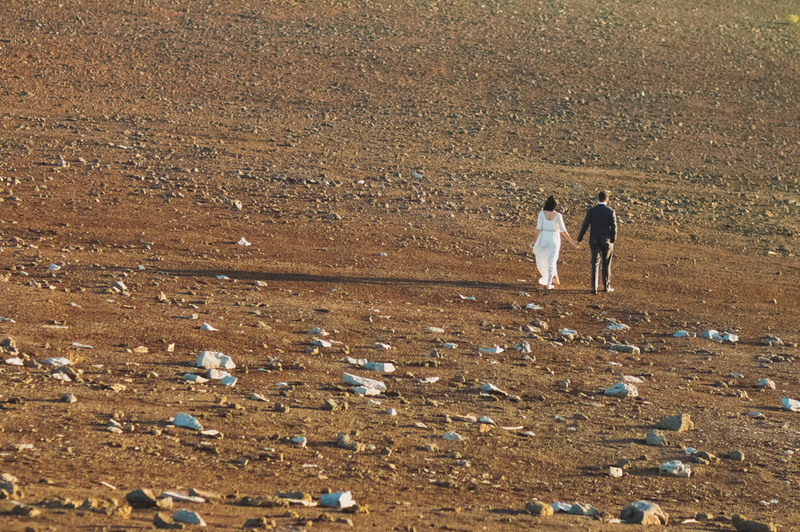 Two, it takes place in Hawaii; Maui, to be exact — on top of Haleakala crater. 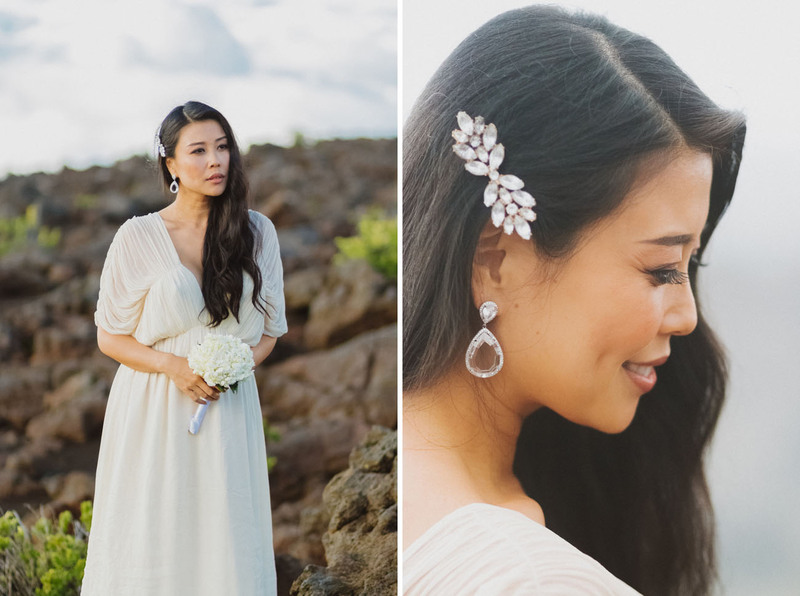 Three, the bride is the talented fashion blogger behind Good, Bad, and Fab! 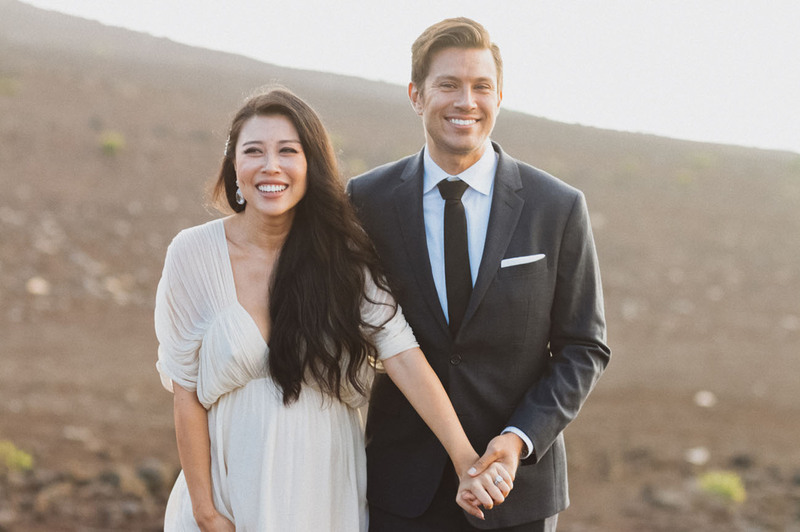 Keeping it simple, yet chic, Jenny + Michael channeled an Old Hollywood glam style for their attire. 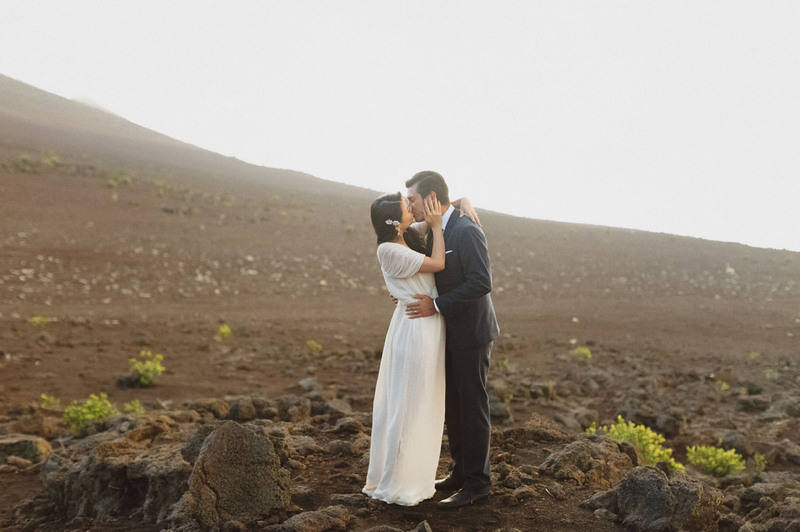 Surrounded by volcanic rock, ethereal clouds and one incredible sunset, we couldn’t have pictured anything more perfect! 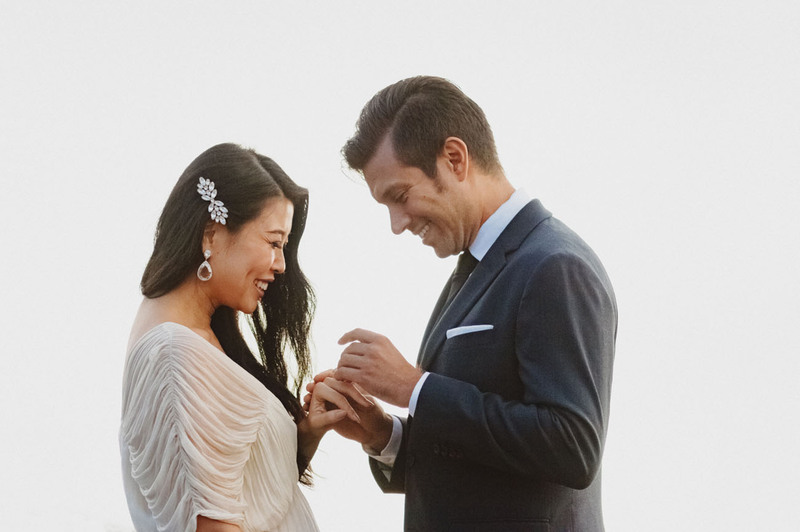 Jenny shares with us Since we were eloping, the day was definitely just about us. It started with breakfast in bed followed by a couple’s massage. 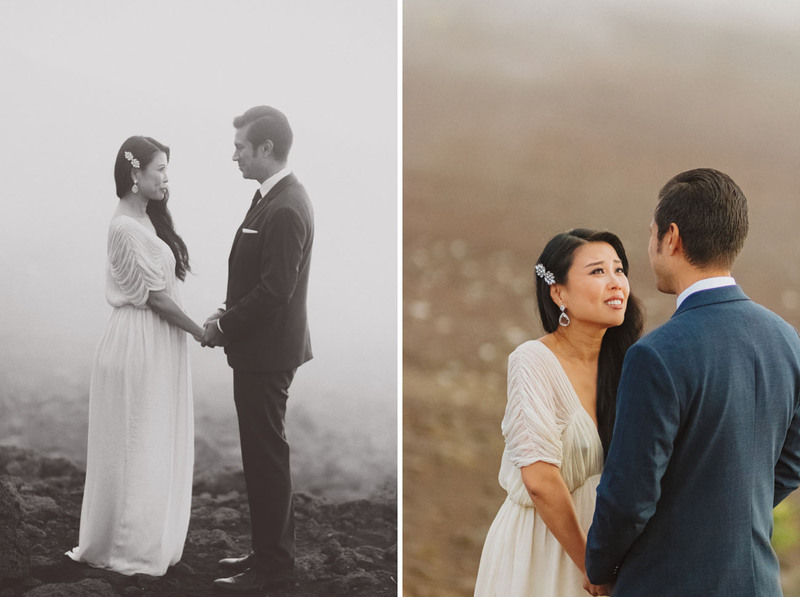 We weren’t exchanging vows until sunset, so we had plenty of time to get ready and didn’t feel like we were on a wedding schedule… We decided to elope because right after we got engaged, we bought a house — then completely gutted + renovated it — the whole process was very stressful and time-consuming. 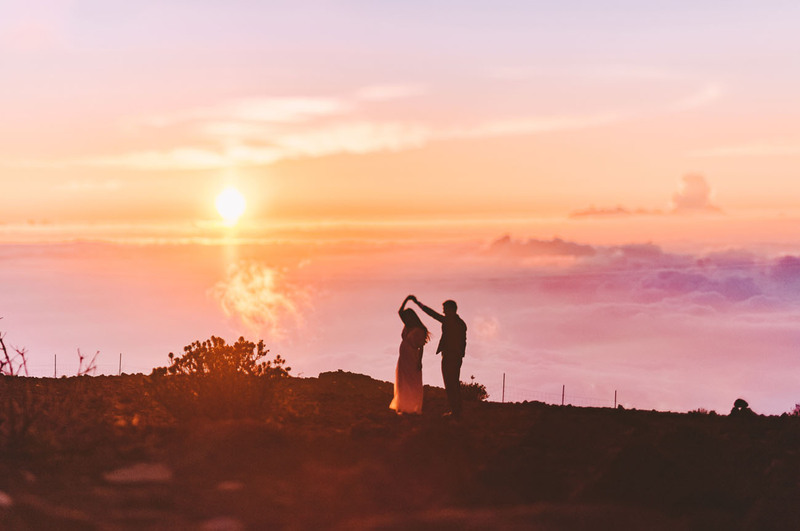 Neither of us really wanted a big wedding but felt pressured to have one, so we attempted to plan a traditional wedding, but never really had time to focus on it. Then I got pregnant and we knew a traditional wedding just wasn’t in the cards. Both of us love Hawaii and neither of us had ever been to Maui. 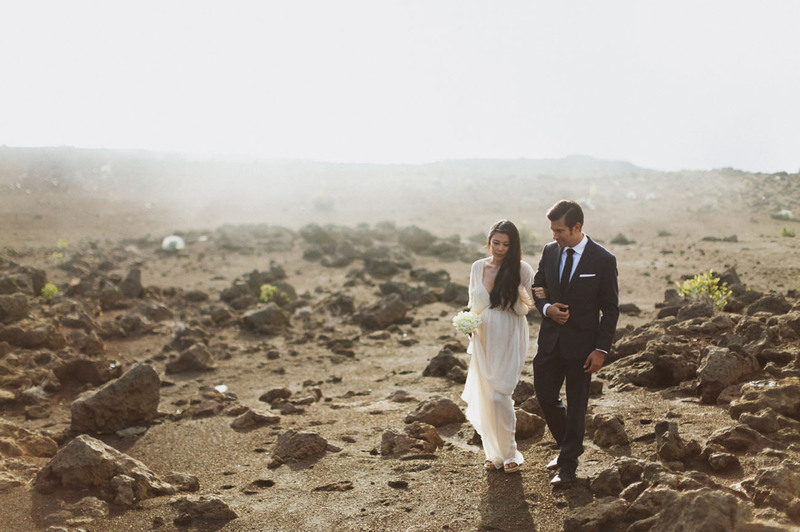 The idea of eloping there sounded so romantic and the perfect celebration of our love! 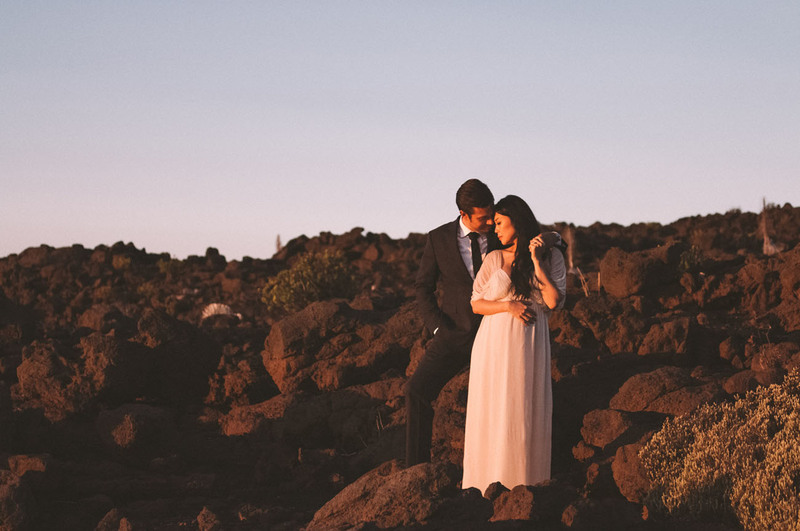 Hawaii is calling… Let’s see their special day captured by Angie Diaz! 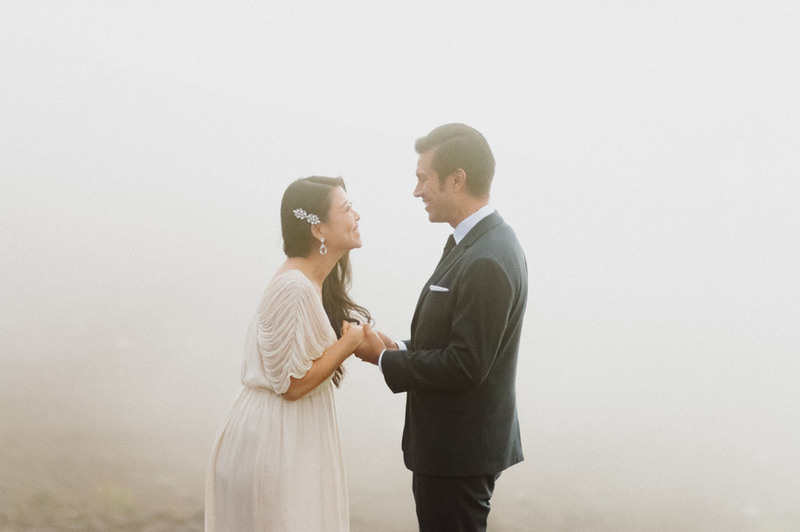 Jenny’s stunning dress is from BHLDN. 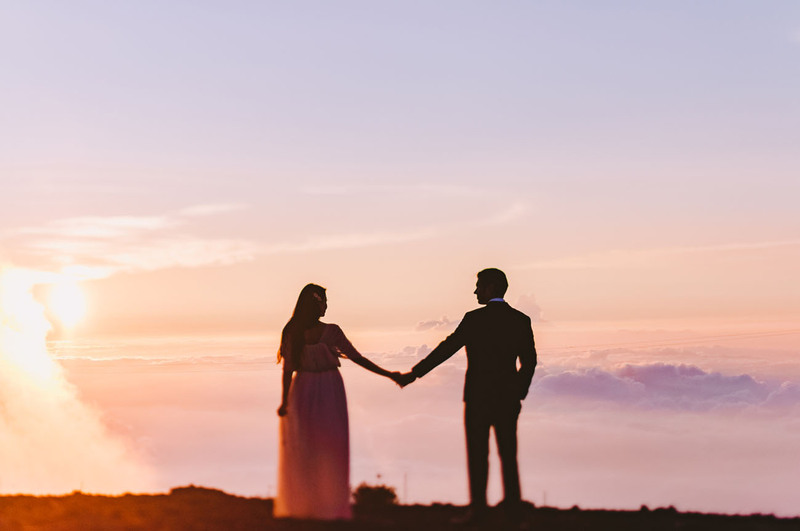 Jenny shares Exchanging our vows atop Haleakala Crater was definitely the most memorable moment of our wedding day!! 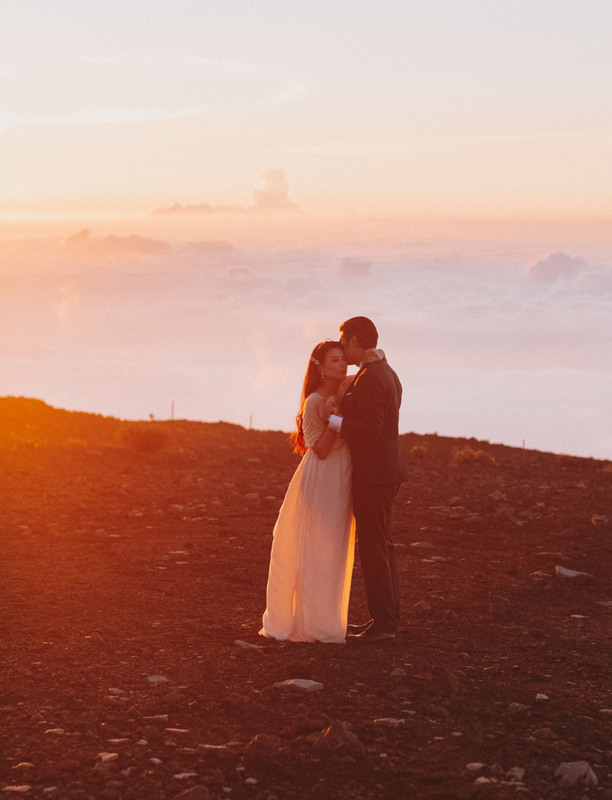 The clouds were coming in fast while the sun was casting a beautiful light over us so it felt like we were literally on cloud nine. I’ll never forget looking into Michael’s eyes and just feeling love consume my very core. 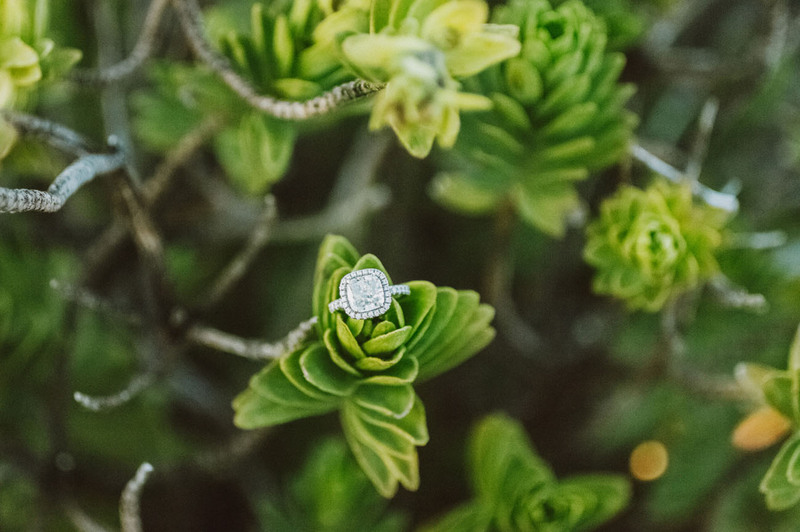 Her shimmering ring is from Simon G Jewelers. That golden light and view of the clouds! 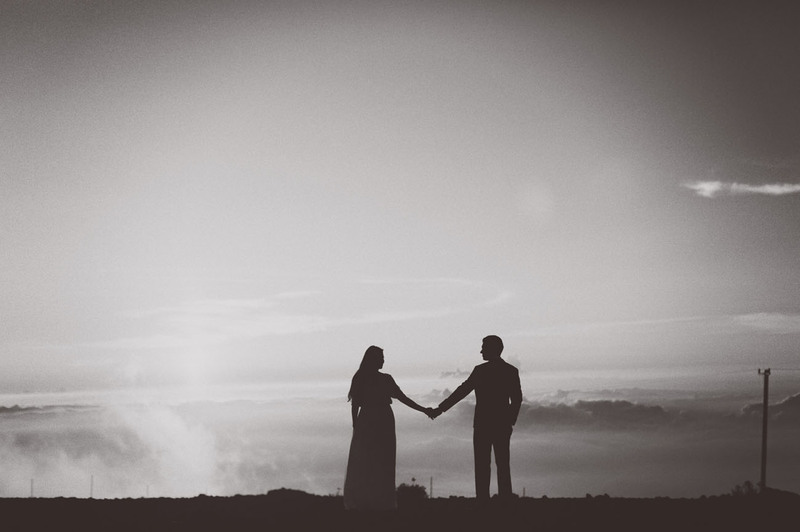 Any advice for those planning an elopement now? Go simple! 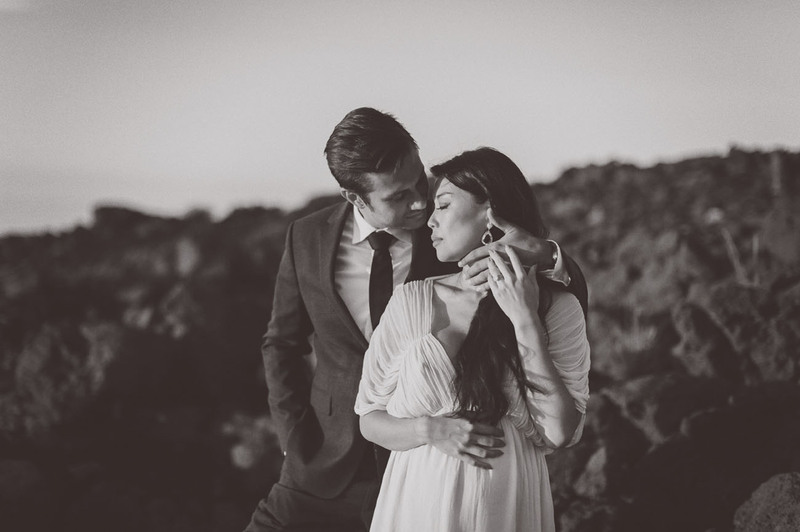 All you really need is a photogenic location and a talented photographer/videographer! 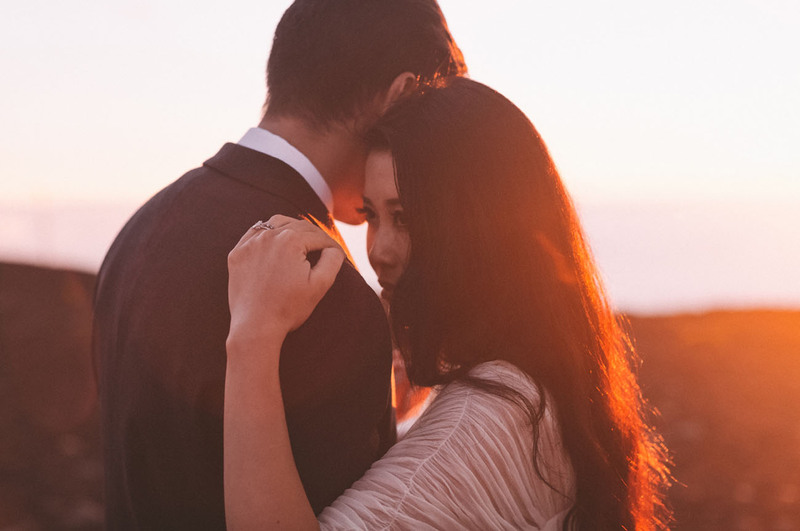 Don’t overplan or overthink it and just let the spirit of love help you live in the moment and enjoy every moment of it! How stunning was that?! Congrats Jenny + Michael!! 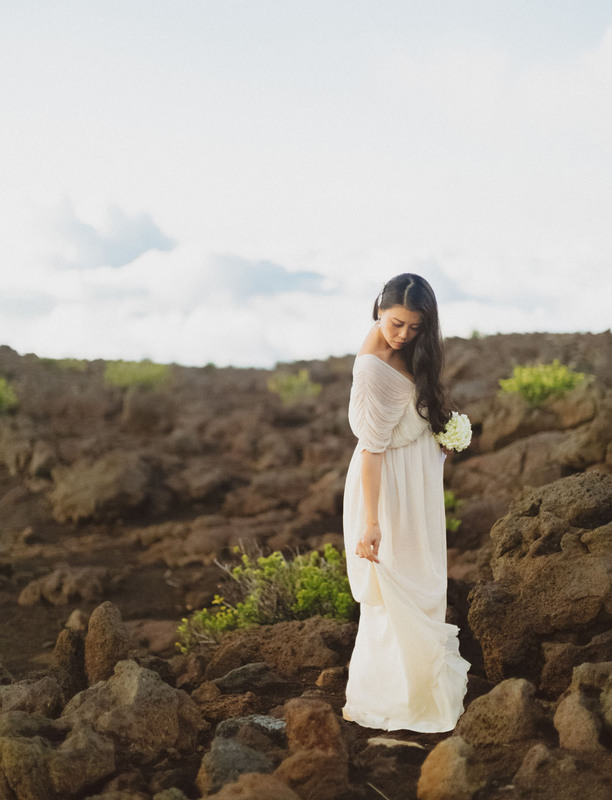 This is so simple, elegant and beautiful ..love it! 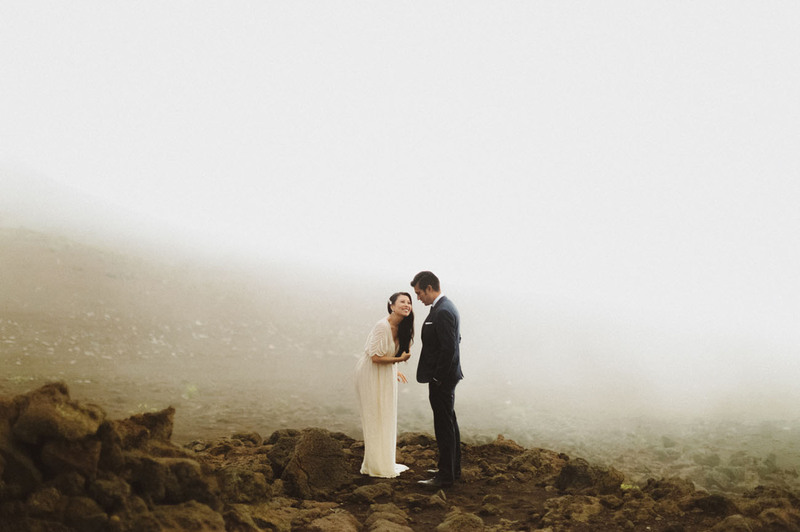 I love the moody – love this represents — I also love that this is not your first thought when you think of maui – way to think outside the box! stunning! 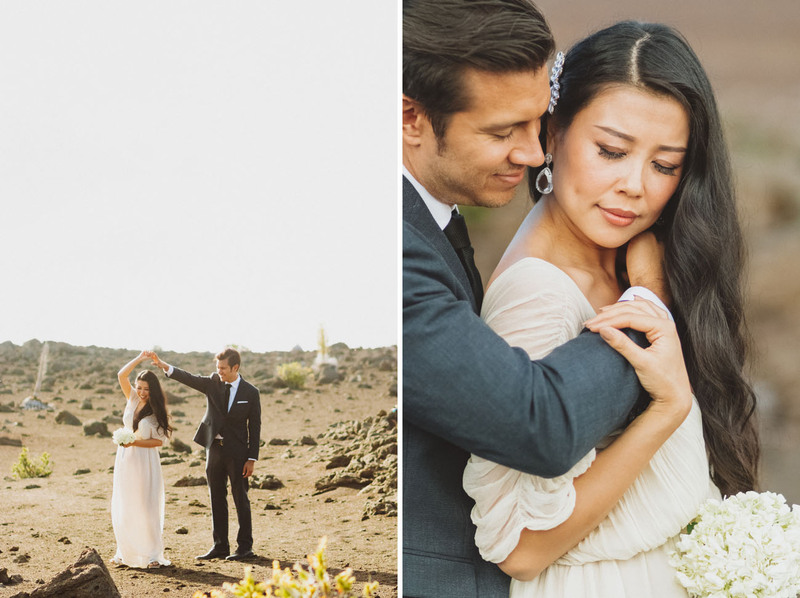 Gorgeous photos of a gorgeous couple! Wow. 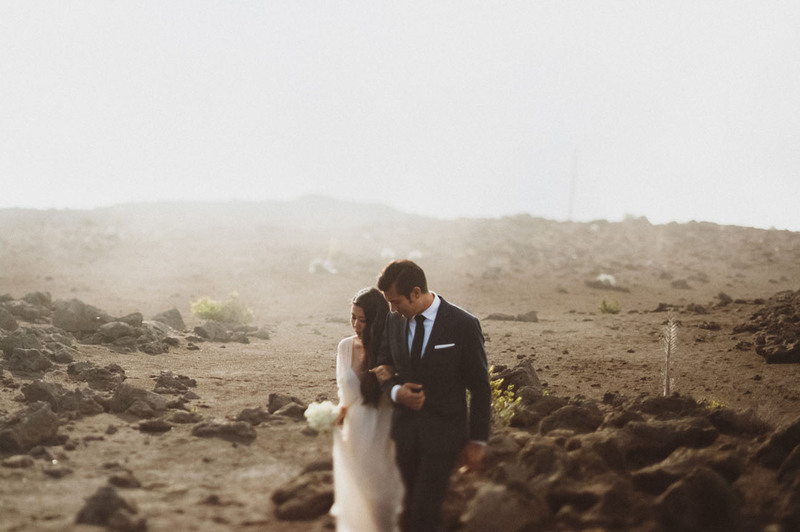 What a beautiful place and gorgeous couple!